Humans wear out. With age, our bones no longer heal, our skin tears, we don’t absorb nutrients as well, and we lose the fight against pathogens like influenza virus that we vanquished in our youth. These familiar signs of “old age” limit our healthy lifespan (our healthspan). Are these linked, what changed, and is it inevitable? Some organisms grow cells indefinitely, but human tissues do not. Even tissues that renew constantly in adult life, including skin and intestine, eventually run out of steam. Part of this limit is genetically encoded as a gradual erosion of the protective cap at each chromosome end. The specialized DNA of these ends, or telomeres, needs its own replication machinery including a fascinating enzyme telomerase. 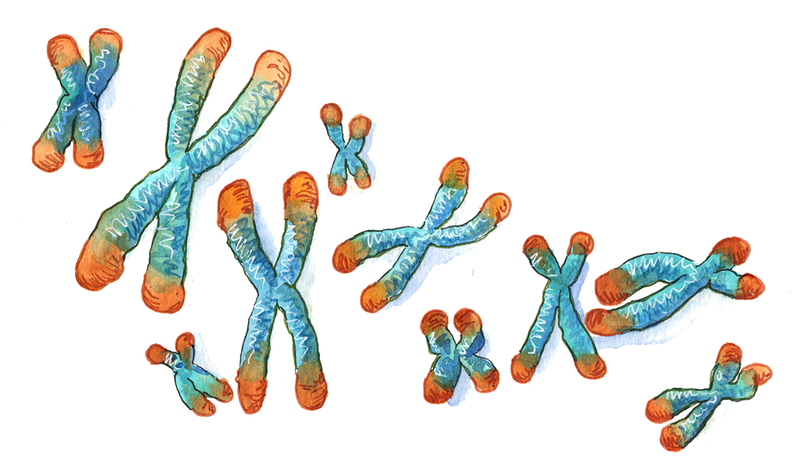 Telomerase is fully active in cells of the human embryo but not in adult human tissues, triggering a countdown of telomere amount with each cell division that ultimately impedes tissue renewal. One could argue that evolution did not select for long human lifespan, or even selected against it, but there is another theory for why telomerase shuts off: to provide a barrier to the “immortalization” of cancer cells. Malignant cancer, unlike a normal human tissue, has indefinite growth potential. Indeed, human healthspan is limited by cancer to an extent that compares with tissue failures. This talk will explore how telomeres and telomerase function and the human balance of aging and immortality. Kathleen Collins joined the UC Berkeley Department of Molecular and Cell Biology faculty in 1995 after undergrad studies at Yale, graduate school at M.I.T. and a postdoctoral fellowship with Nobel Prize winner Carol Greider at Cold Spring Harbor Laboratory. She has received awards including an American Society for Cell Biology/Promega Early Career Life Scientist Award and a Burroughs Wellcome Fund New Investigator Award in the Pharmacological Sciences. She is active in undergraduate and graduate education as well as other scientific community service. She enjoys tossing around ideas with her research group, growing strawberries, and relaxing in the Berkeley YMCA pool.